For those that have been hearing the term "short sale" and don't quite understand what it means, a short sale is a legal lender approved solution designed to assist those homeowners who are financially strapped to get out from under their mortgage debt. A short sale is negotiated through the mortgage holder of an owners home whereby the mortgage holder agrees to take less than what a homeowner owes on the property. An example of a short sale would be if a homeowner owes $500,000 on their current mortgage and their home is only worth $450,000. The lender in this example would agree to take a shortfall of $50,000 at closing. In many cases, the mortgage holder may completely wipe out the debt, and the homeowner does not have to repay the 50,000. It needs to be emphasized that the debt is wiped out in most cases but not all. Some lenders may require a seller to sign a note and repay the debt over a certain amount of time. The homeowner benefits in this situation because they get out of a sticky financial mess without going to foreclosure which can severely damage your credit. Generally speaking, if your home is foreclosed on you will not be able to get a loan to buy another house for five to six years. With a short sale in most cases, you will be able to buy another property in two to three years. In either event, your credit scores are going to take a hit. You may be thinking why would a mortgage holder want to allow a short sale? There are some reasons, most notably the cost involved for the lender going through a foreclosure proceeding. 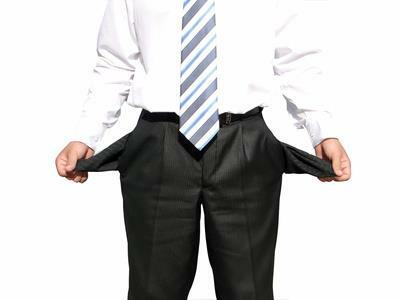 The mortgage holder when all is said and done can easily spend $40,000-$50,000 going through a foreclosure. This avenue can save the lender money they would otherwise lose. With property values continuing to drop in Massachusetts there are many more lenders who will consider the short sale procedure. It is important to remember that banks are not in the business of owning Real Estate in their portfolios and would much rather assist a homeowner than to take ownership of their home. With a short sale in place, the lender is going to avoid carrying costs as well as a myriad of legal fees. In order to do a short sale, there must be some kind of financial hardship. Just wanting to walk away and get a cheaper house is not a reason to do a Short Sale and most likely the lender will deny the short sale request. So what are some valid reasons for a short sale that a bank may accept? Here are a few: Loss of job, loss of income, divorce, a death of a spouse, business failure, relocation, military service, large medical bills, and others. If there are other assets in place that could satisfy the debt the lender may also not comply with a short sale. As a Realtor representing a seller in a short sale scenario there some issues, you need to be aware of as well. See Ethics in a short sale for an explanation. When selling your home or condo and you know you are going to be faced with a short sale make sure you choose to work with an exceptional Massachusetts Realtor who has some working knowledge of short sale procedures! Short sales are complicated transactions and hiring a Realtor that knows what they are doing is critical. Remember as a seller you are not that far away from a potential foreclosure so picking the wrong Realtor would be a huge mistake. A good Real Estate lawyer in your corner who has worked with short sales would also be an important consideration. Due to time constraints, I choose not to do any kind of negotiating with the banks and have a short sale attorney do this for me. I pride myself on giving my Real Estate clients exceptional service. My business would suffer if I did this on my own. The time involved with doing what is necessary for negotiating a short sale is very time-consuming. • A completed authorization form allowing communication directly with your lender. • Your lender's name, account numbers, and customer service phone number. • A hardship letter discussing the exact reasons why you are not able to pay the mortgage going forward. This letter must be dated and signed. • A copy of the listing agreement from the Real Estate agent. • Proof of income ~ The lender is going to require a financial statement including copies of your two most recent bank statements, copies of your last four pay stubs, or if you are self-employed, a copy of your most recent profit and loss statement. Lastly, you will need copies of your last two tax returns. 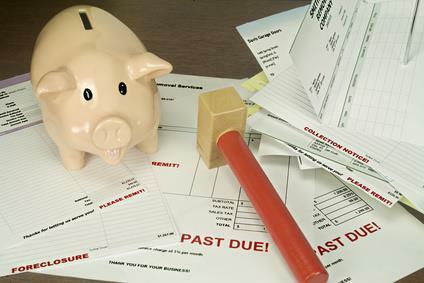 • Also are there any other debts on the home or condo such as past due water and sewer bills, condo fees, outstanding taxes, IRS or other liens. As a buyer wanting to purchase a short sale property, there are a few things that you need to be aware of. One of the most significant drawbacks to buying a short sale is that most of the time they take a very long time to get a response from the bank. On average you can expect to be waiting three or four months just to hear if your offer has been accepted by the bank. There are some lenders, most notably Bank of America (BOA) where it is not unusual to wait six months to a year to get a response! If waiting that long is not what you want to do I would consider buying a bank owned home. There are many that wonder why short sales take so long? The answer is that with the Real Estate collapse around the country most lenders are not adequately staffed to handle the volume of short sales that they have. Many lenders don't have the funds to provide additional staffing either. Most negotiators have piles and piles of files stacked up on their desks. It is a nightmare for those involved! In most cases calling every day to the negotiator asking for a decision is a big mistake. Every contact you make to the loss mitigation call center, or the negotiator gets logged into their contact database. If you are calling too often, you will likely piss them off. Doing that could cause them to reject the proposal, and no one would know. One really important consideration is that in many circumstances the short sale negotiator is not the one deciding for approval or not. The loan is owned usually by a secondary market investor (SMI). The so-called short sale negotiator negotiates very little and is merely a processing clerk. Having these people on your side is essential. You want them to go to bat for you with the investor. Obviously, if you are a buyer and are going to be waiting that long just to hear if your offer was accepted or rejected you better be getting a heck of a deal!! 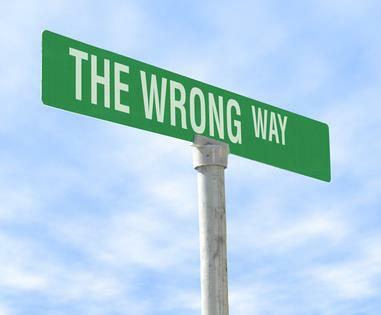 One of my biggest pet peeves with short sales is when a Realtor signs up to handle one for a seller, and they do not know what they are doing. For example, the proper way to process a short sale transaction is just like any other when it comes to accepting an offer. The seller should be approving an offer and signing the contract! There are agents that are marketing short sales and collecting multiple offers and submitting all of them to the bank. There is no mechanism that holds a buyer in the deal. A buyer can walk at any time. This is an obvious down side for a seller as theoretically all of them could walk before getting approval. This is not what a bank likes to see either. When it is a free for all with no offer accepted by the seller, a buyer does not have any security in the property either. A seller doing a short sale should be looking to lock up the best-qualified buyer that has the greatest success in getting to the closing table. The buyer should be ready willing and able to close within 30 days after the bank accepts the offer. This means as a buyer you should make sure your financing is in place. As a buyer, you should be aware that the seller should not be accepting a ridiculous offer that has no chance of getting approved by the bank. The bank will send out an appraiser to verify that the offer is in the ballpark of fair market value. As you can see, there is a quite a bit to know about short sales in Massachusetts! Thinking of buying or selling a short sale property or other Real Estate in Ashland, Bellingham, Blackstone, Douglas, Framingham, Franklin, Grafton, Holliston, Hopkinton, Hopedale, Medway, Mendon, Milford, Millbury, Millville, Northboro, Northbridge, Shrewsbury, Southboro, Sutton, Wayland, Westboro, Whitinsville, Worcester, Upton and Uxbridge? Get in touch I would love to interview for the chance to represent your best interests. If you are selling your home in Massachusetts and need to do a short sale in a town I do not cover; I would be happy to refer you to a good Realtor who would be able to help you. I am successfully doing short sales in the Metrowest Massachusetts area. I work hand in hand with a local attorney who does all the negotiating with the bank. So far I have had tremendous success and have not had a short sale rejected by the bank. If you are a Realtor and do not have experience doing a short sale, I would be happy to take a referral for Framingham Short sales, Ashland short sales, Milford short sales, Holliston short sales, Hopkinton short sales, Medway short sales, Franklin short sales, Shrewsbury short sales, Westboro short sales, Southboro short sales, Grafton short sales, Hopedale short sales, Mendon short sales, Northbridge short sales, Bellingham short sales, Natick short sales, Northboro short sales and Uxbridge short sales.